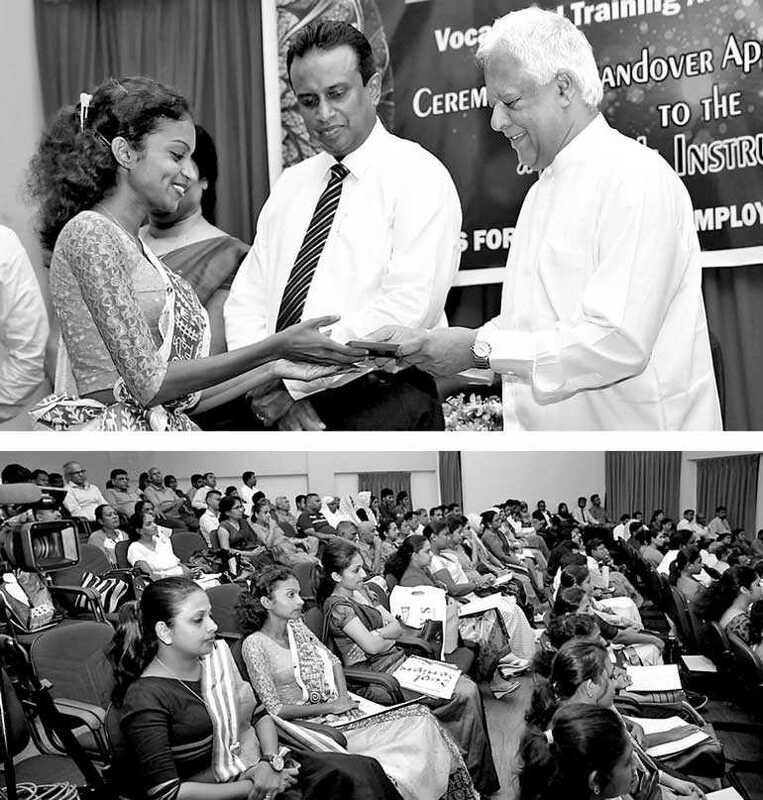 Minister Dr.Sarath Amunugama addressing a batch of English language instructors recruited recently by the Vocational Training Authority (VTA) said that it was their duty to empower their students adequately in the English language so that they would be able to, among other things, face job interviews at modern industrial and business establishments, without hesitation, on an equal footing with foreign educated youth. The Minister said that due to longstanding shortcomings in the country’s education system the youth and especially rural youth were facing a severe employment problem. He said that the traditional education in the humanities, even at university level, was no longer sufficient to obtain employment at today’s workplaces. He pointed out that today youth needed to be equipped with technical and vocational knowledge and skills, required by the present world of work. The Minister said that it was the responsibility of his ministry to ensure that such vocational and technical training was provided at an internationally accepted level by all relevant institutions in the country both within his ministry and outside. He said that his ministry had undertaken that task with a great sense of responsibility. The Minister further said that even vocational and technical skills alone were not enough today and it was also necessary to be equipped with the knowledge of and skills in an international language to be accepted at a modern workplace, competing in a global market. The Minister pointed out that at such workplaces work manuals would be in an international language and communication with employers and customers would also need skills in such a language. The Minister said fortunately the English language for the learning of which we have good facilities was a widely accepted language in the world of international commerce and industry. He said his ministry had therefore launched a special initiative to give the trainees in the institutions under his ministry a good knowledge of English and adequate skills in its use in communication. He congratulated the VTA in taking the lead in this connection and thanked its Chairman and staff for the interest taken. He asked the new language instructors to treat their new assignment not merely as a job but as a national duty of empowering the hitherto disadvantaged youth of the country.